So, as I'm sure you're all aware, Kate Middleton has given birth to a second royal bundle of joy. The Duchess of Cambridge and Prince William finally welcomed a second child, a princess, at 8.34 a.m. at St. Mary's Hospital's Lindo Wing, as reported by Kensington Palace in a series of tweets. Of course, good wishes are in order for the happy couple as they celebrate! In the meantime, as the couple enjoys becoming parents yet again, some fans might be wondering if they will see even more royal babies in the future. As of right now, there has not been any solid confirmation from the duchess as to how many children she wants in the future. In fact, the only thing Middleton and Prince William confirmed from the get-go is that they indeed wanted children, without specification of a number. However, Prince William has reportedly opened up in the past about his ideal number of kids he would want in a family. While he was touring the Gardens by the Bay in Singapore back in 2012, Us Weekly reported that someone asked him about how many children he wanted to have, and he reportedly said he was thinking of having two children. If his answer still stands and the duchess agrees with him, then the couple could very well be done after this second royal baby. That being said, it is worth keeping in mind that a lot can change over the course of three years, and Prince William could have very well changed his mind, too. 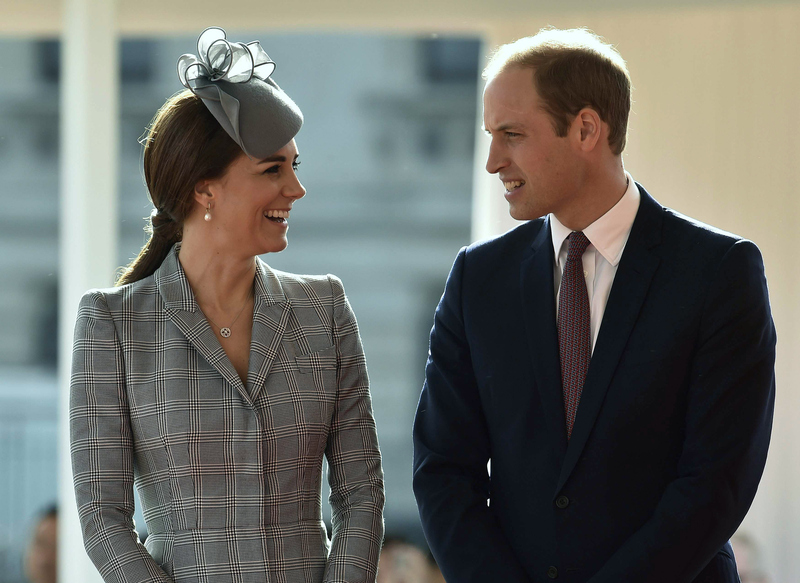 But an interesting twist regarding the number of potential children they may have was revealed back in 2013 by a woman who helped design the royal pair's wedding cake. Apparently, the sweet treat may be a hint that the couple wants more than two. Why is that, you might ask? Well, as it turns out, the couple decided to save three tiers of the wedding cake upon their marriage instead of just one. Typically, a couple saves one tier of the cake and sets it aside until the christening of their first child. So, this can potentially mean that the couple is planning on having three children instead of just two. But since this is pure speculation on part of fans, it also might just mean that they wanted to save the other tiers for memories' sake or just for the heck of it. For what it's worth, Middleton's uncle gave his opinion that the couple would not stop at two kids, especially if the baby was a boy (which it is not, but we can still all dream, right). Gary Goldsmith said, "I'm sure there'll be a girl in the mix at some point. As long as the baby is healthy, that is the important thing." But then again, those are just his personal thoughts, so it's worth taking with a grain of salt. In any case, we won't know for sure until the couple confirms that they are thinking about having any more kids. But we're certain they're being kept plenty busy (and happy) taking care of the second little one in the meantime. Stay tuned!